Journal of Forensic Sciences and Digital Investigation is an international open access journal that accepts manuscripts like original research, review, mini reviews, case reports and studies, short communications, editorials, etc., in the fields include but are not limited to Forensic Sciences, Forensic Discoveries, DNA Analysis, Finger Print Recognition Techniques, Digital Forensic Sciences and Criminology, etc. 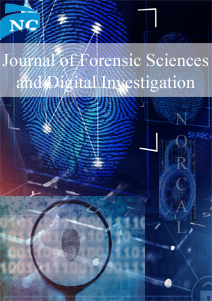 Journal of forensic science and digital investigation is the journal of NorCal Publications. It is the application of science to criminal law and electronic crimes and helps to solve all the type of criminal cases officially. This is a significant and dependable source of current data on the developments of forensic science. The journal aims to update the current developments in various fields of criminal sciences. The scope of the journal includes but not limited to Forensic pathology, Forensic genetics, Experimental evaluation of DNA, Restraint injuries, Death investigations, Crime Science, Fingerprints, Footprints Investigations, accident investigation, Forensic ballistics, wildlife forensics, forensic phycology, forensic accounting, forensic anthropology, criminalities other forensic aspects. We are now accepting original research, review, mini reviews, case reports and studies, short communications, editorials, etc. Journal was positively evaluated in the SJIF Journal Rank List evaluation process, which resulted in a score given SJIF 2018 = 4.693 (Scientific Journal Impact Factor Value for 2018).